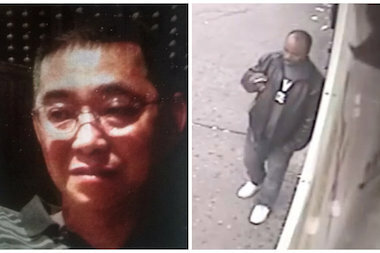 Police said they arrested Kevin Darden, who they say pushed Wai Kuen Kwok to his death. THE BRONX — Police have arrested an ex-con suspected of pushing a 61-year-old father to his death in front of a D train. Kevin Darden, who has an extensive criminal history and was released from jail only two days before the fatal shove, was caught walking on a street in the 48th Precinct shortly after his mugshot was released Tuesday to the public, according to the NYPD. Darden, 34, was on the Manhattan-bound platform of the 167th Street station about 8:45 a.m. Sunday when he pushed Wai Kuen Kwok, a stranger, in front of the train in full view of Kwok's horrified wife, sources said. 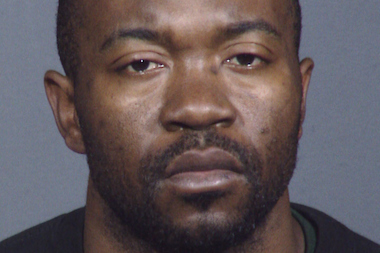 Afterward, Darden left the station and took a Bx35 bus six blocks to a bodega at Jesup Avenue and West 170th Street where he bought a single cigarette for 50 cents, police said. He was awaiting arraignment Wednesday morning on murder charges, officials said. Darden, whose last known address was on Grand Avenue in Fordham, has been arrested more than 30 times, sources said. Darden was released from prison in June 2008 after spending several years behind bars on a robbery charge, prison records show. He was most recently arrested on Nov. 9 and charged with pickpocketing inside 1560 Broadway in Manhattan, prosecutors said. He was released on Friday, Nov. 14, records show, just two days before Kwok was pushed to his death in front of his 57-year-old wife. Anyone with information should contact Crime Stoppers at (800) 577-TIPS (8477).